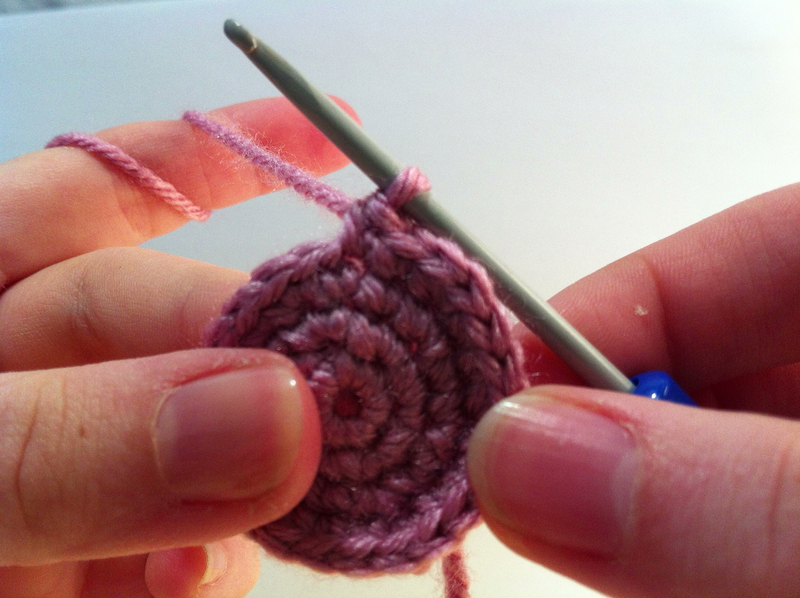 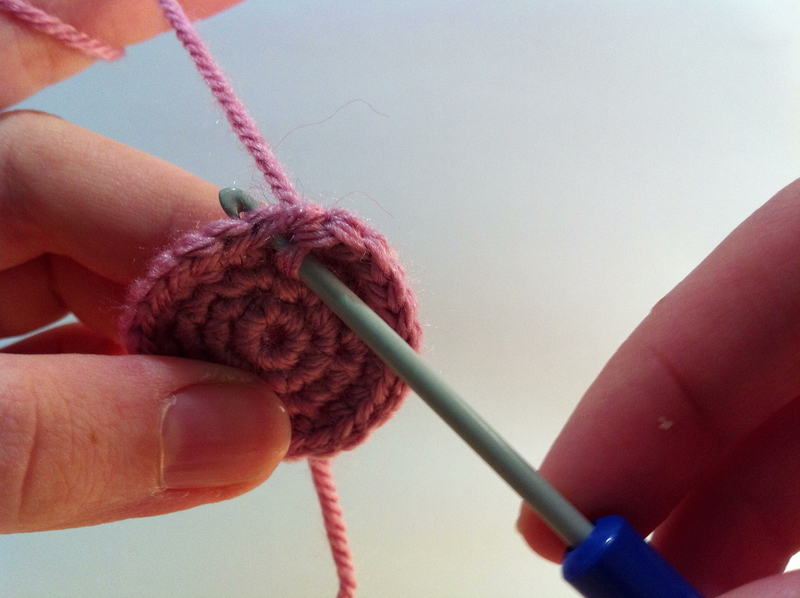 The single crochet is the building block of amigurumi, luckily it’s pretty simple. 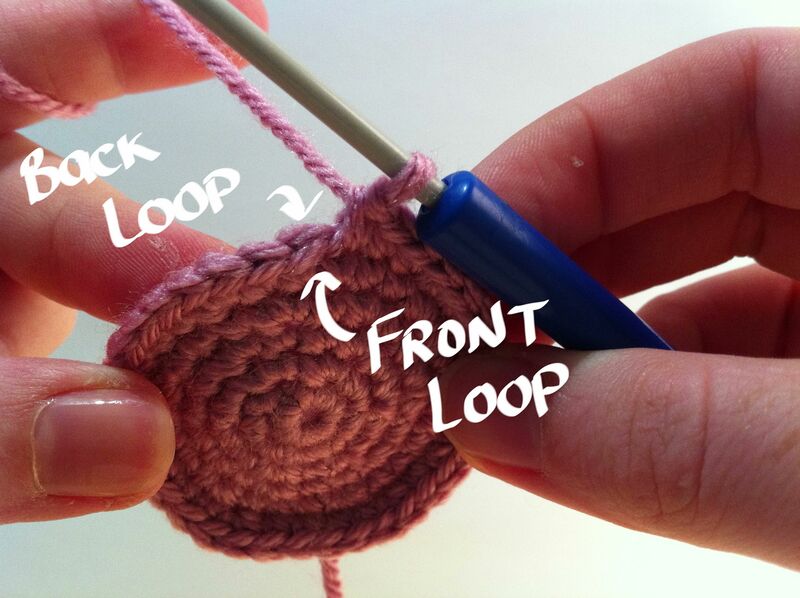 Each stitch makes a “v” shape, and consists of a front loop and a back loop. 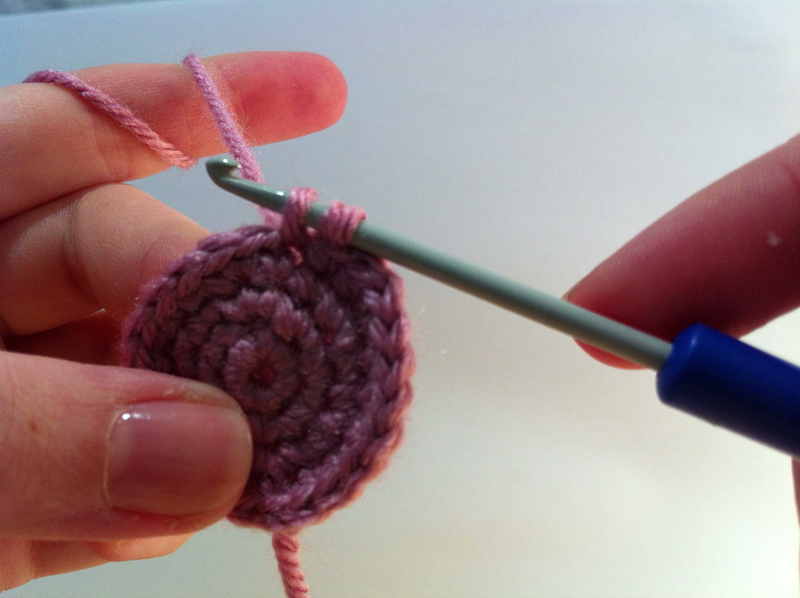 Insert your hook under both of these loops. 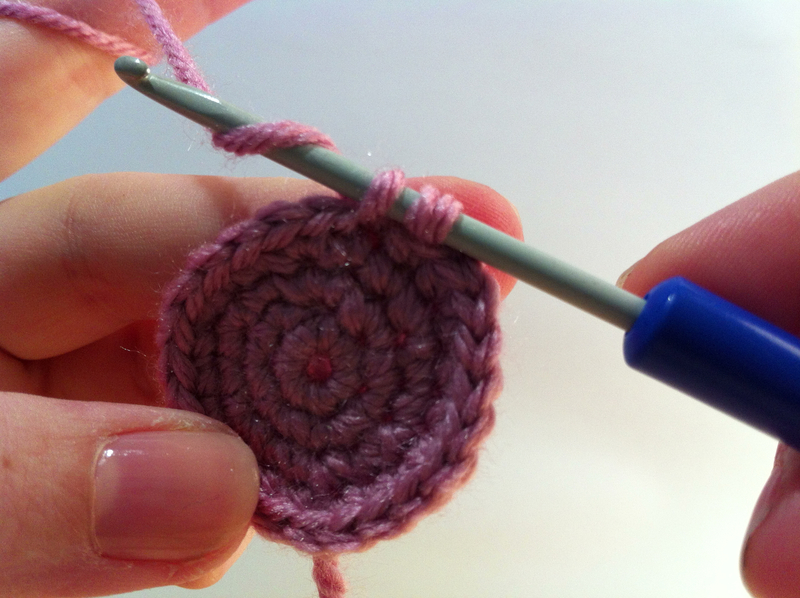 Yarn over and draw yarn through both loops. 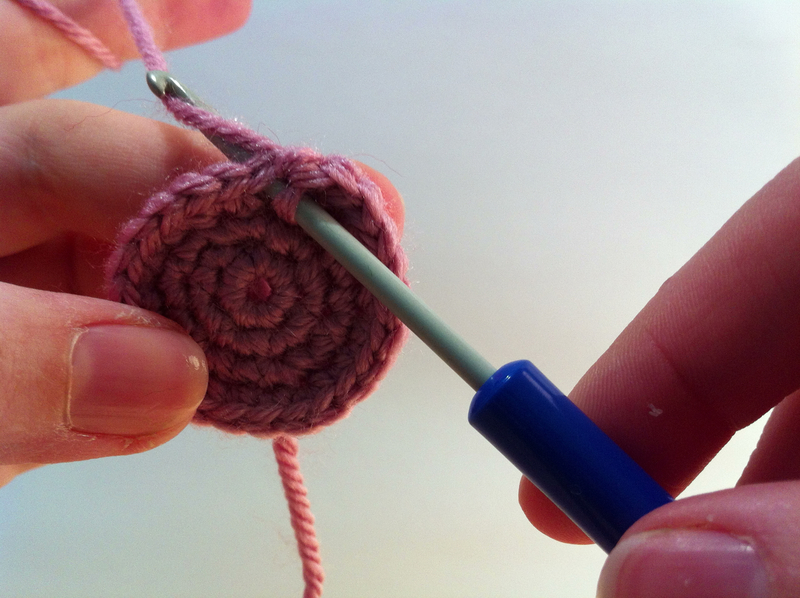 Yarn over again, and draw the yarn through both loops on the hook.